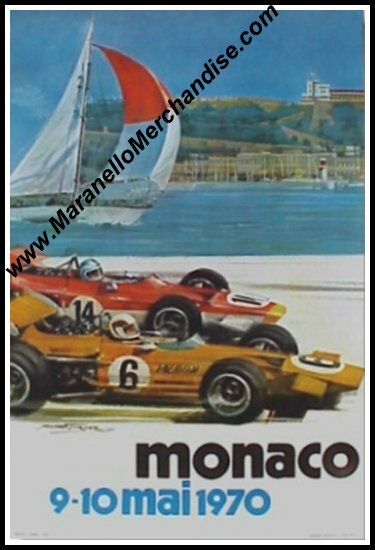 Vintage Original 1970 Monaco Grand Prix Poster. 16 x 24 inches or 40 x 60 cm. The race was won by Jochen Rindt in his Lotus 49B, followed by Jack Brabham on Brabham-Ford and Henri Pescarolo on Matra completing the podium. Will be shipped rolled, in a sturdy tube.